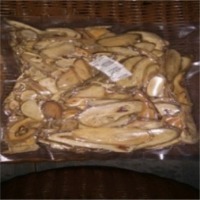 Pure Dried Tongkat Ali Roots - USD90 per Kg. RD Health Ingredients Co., Ltd.
Short on time? 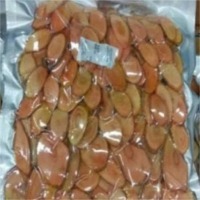 Let tongkat-ali-roots sellers contact you. 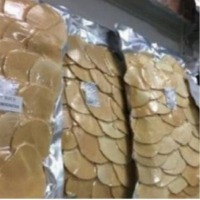 Type: herbal Specification: - dried, slice - color yellow, red, black - diameter 5 - 18 cm - moisture < 10 % - taste very bitter - origin viet nam Packing: 1 kg/vacuum bag; 20 kgs/ carton english name: drumstick tree. Xi'an Lukee Bio-Tech Co., Ltd.
(5) enhance human fertility and improve male sperm production, improve spermactivity; (6) repair and nourish human gonads and reproductive system, effect on the elimination of prostatitis symptoms; (7) prevent and cure the malaria, and has been proven to have great potential to treat cancer. Pharmacology efficacy: 1.Enhance the strength and vitality, reduce fatigue, sterilization. 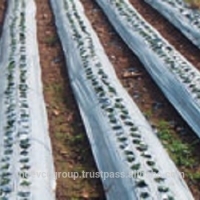 2.Anti-ulcer, antipyretic performance also improve various conditions such as hypertension, diabetes and other effects. 3.Treatment of diabetes, hypertension, prostatitis, tuberculosis, fever, jaundice and dysentery. 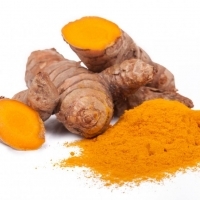 4.To anti-cancer, antioxidant, anti-rheumatism, etc. 5.Natural plant extracts to restore health and rejuvenate. 6.Another us-called "natural aphrodisiac" or "natural aphrodisiac. 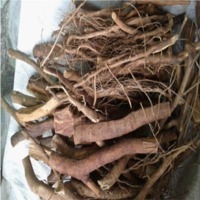 Application: Nowadays, the root of tongkat ali has been made of tablets, tea bags, drinks, capsules and use with coffee together, today appeared on the market to add the tongkat ali in chocolate, because of its amazing variety of effects, attracted great attention of international medical community. 25kgs/drum, inner by plastic bag or aluminium foil bag. Lead ore, herbs and essential oil, argan oil, rose water, ghassoul verbena Oil Thyme Oil Menthe oil Rosemary oil Bay leaves oil Mugwort oil Corrigiola telephiifolia Madder Root Mandrake root Oris Roots Pellitory root Soapwort root Artichoke Leaves Bay Laurel Leaves cactus lowers Centaury Mugwort OAK Moss Orange flowers Orange Leaves Oregano peels Pomegranate Red poppy Rosemary leaves Thyme Camomile Olive leaves Orange Blossoms Orange Peels Rosebud verbena leaves Sandarac Gum euphorbia Fassoukh Mint Thyme Sage Rosemary leaves Majoran Lavender Coriander dill Tarragon lemongrass chives Argan Almonds Argan OIL Black Cumin Seed Caraway Carob seeds Chaste Tree Berries Colocynth Coriander seed Syrian Rue Saffron. Malaysia white coffee (3 in 1, original, tongkat ali, beet root).